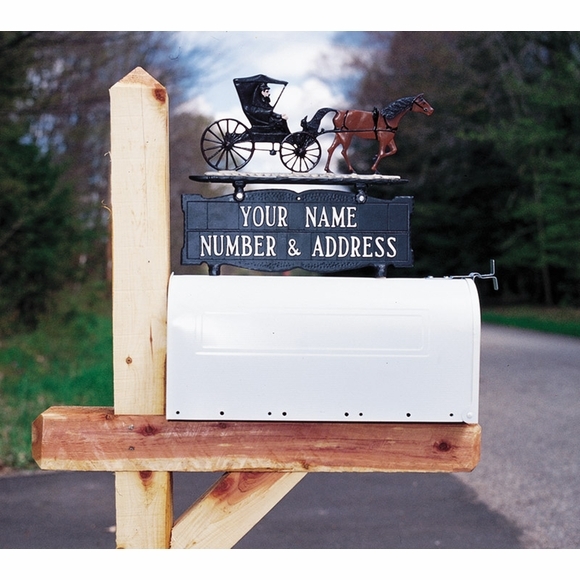 Whitehall Personalized Two Sided Two Line Mailbox Sign - - mailbox mount sign with the same personalization on two sides can be displayed alone or with an optional Whitehall mailbox ornament (shown with optional ornament topper). 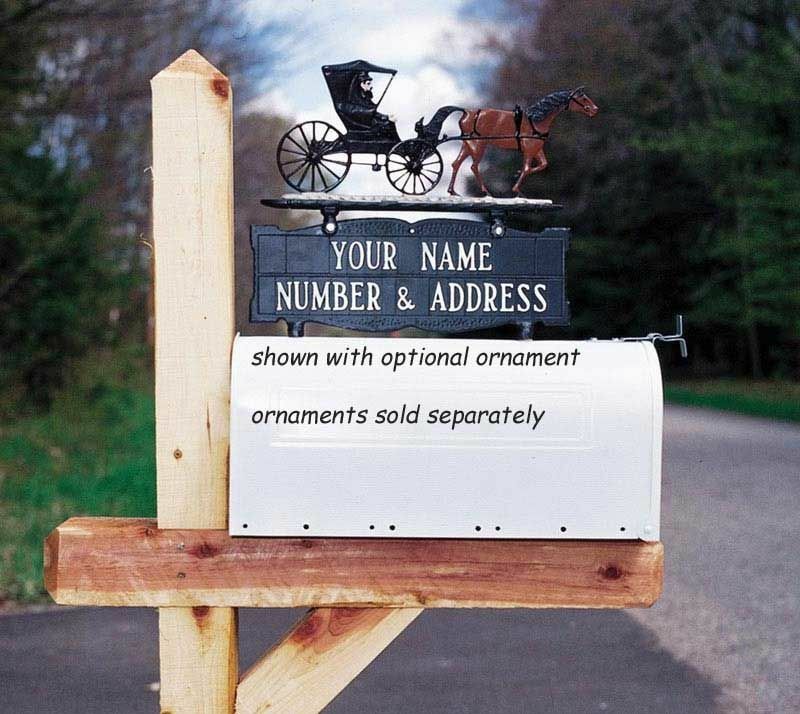 Ornaments designed to fit this mailbox are sold separately. Made in the USA. Each line of personalization holds up to sixteen 1.25" characters (including spaces). This was my first time buying at Comfort House. I was well pleased with my personalized sign for my mailbox.It was great quality,and looks very sharp. I am sure it will last a long long time.Thank you so much.